A year round indoor play space for children 12 years and younger. You pay one admission price per child (parents play for free) and stay as long as you like. We offer 5 private party rooms for birthday parties or group gatherings as well. Click aMAZEment Action Play Center for complete details. We offer after school care for children in Full Day Kindergarten through 5th grade. Our program is housed at the aMAZEment Action Play Center and we utilize all of the facilities at Cedarland as well as Cedardale Health & Fitness. Bus transportation is provided from several local schools – the perfect solution for the working parent! Click After School Program for complete details. In the summer months we transform our Aquatic Center into a day camp for children age 4 – 14. 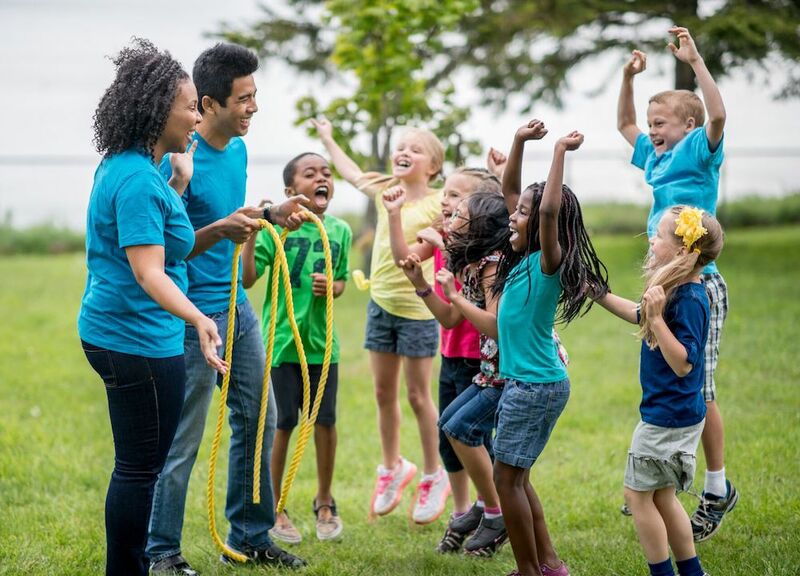 Divided in age appropriate groups we focus on active, healthy fun using all we have to offer here at Cedarland and up the street at Cedardale Health & Fitness. Click Cedarland Summer Day Camp for complete details. Spring through fall we have: 2 mini-golf courses, 9 batting cages, a SkyWalk Adventure Ropes Course, a Rock Climbing Wall and concessions – like Ice Cream, weather permitting! We also offer a party space here for birthday parties. All ages welcome! Fill out your waiver for the Batting Cages, SkyWalk, and Rock Wall before you arrive HERE. When you visit we can look you up by last name or birthday. Click Cedarland Golf & Batting for complete details. Summer weekends as well as late June and August we offer large group, corporate and school outings. With use of the pool, volleyball and basketball courts, a covered picnic area and use of the golf and batting facilities an outing at Cedarland makes for a really fun getaway day! Click Outings for complete details. This is home to our Junior Swim Programs and our 6-lane Olympic size pool with a separate attached wading area. The Aquatic Center offers junior swim lessons for children age 8 months and up. We also offer developmental swim teams and stroke clinics. Adult lessons and Water Exercise classes are also available. Aquatic Center Memberships are available for family swims or lap swimming. Click Aquatic Center for complete details. Cedarland and all of its facilities are owned and operated by Cedardale Health & Fitness. Located just up the street at 931 Boston Rd, Cedardale is a large multipurpose health club (we are all one big happy family!). Click Cedardale Health & Fitness for complete details.